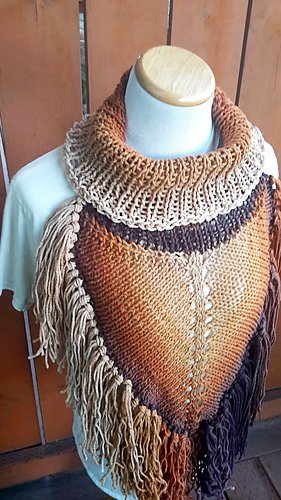 This trendy triangle scarf pattern is easy to work up and looks great with ombre or tonal yarns for a unique look. Three sizes are included in this cowl pattern - child, adult (small), adult (large). The collar is easy to adjust for a super slouchy or more reserved look. 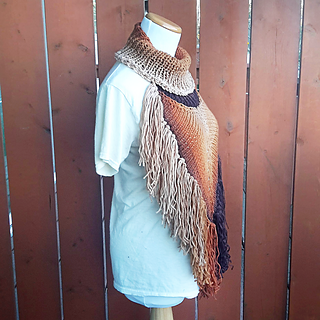 What’s great about these fringe cowls? They’re easy to throw on over a sweater for an extra bit of warmth around your neck and easy to take off when you’re not using it! It won’t fall off or get in the way when you’re out and about, either. 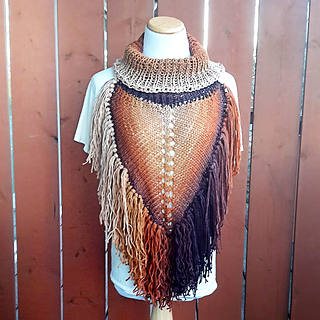 This knit pattern works up fast & is great for selling if you enjoy making fringe, ha! 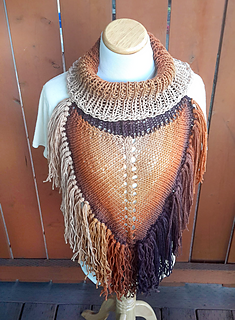 This pattern is tested and ranked for adventurous beginner knitters. It’s worked flat and in the round, using only basic stitches. All abbreviations are explained in the pattern.